Glaze formerly known as WoodenToaster is a British musician who composes electronic music while occasionally including his own vocals. 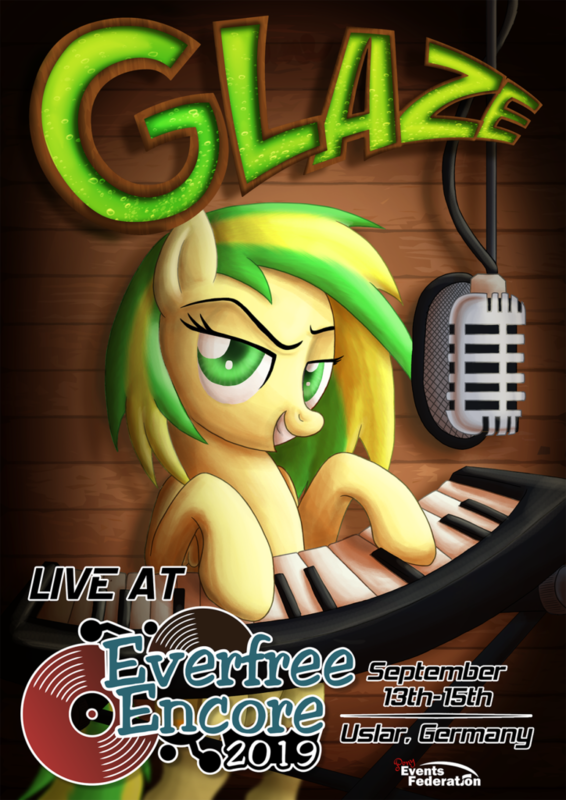 Glaze was involved in many very successful titles in the early stages of the brony fandom. He started in 2011 and gained quickly popularity with titles like Rainbow Factory, Nightmare Night or Love me Cheerilee. Some of the titles share collaborations with other well-known artists such as The Living Tombstone, Mic The Microphone and General Mumble. Daniel Ingram even called Beyond her Garden one of his favorite brony original songs! While not having released major tracks recently, he never stopped being involved as a musician and brony. You can find Glaze on YouTube and Twitter while also listening to his music on Spotify or Apple Music!